24: Live Another Day - Are you excited Jack's back? The 24 franchise ran for about 9 years, but took a few years off after 2010. Now it's back with a new series. Are you excited or did you miss the whole thing? I didn't know he was coming back. Thanks for the info. I don't watch 24, but my dad does, and he'll be happy to see it coming back. That's pretty cool. I loved the first couple of seasons of 24, and although I stopped watching it, what I did was good. I'm glad some shows like this and Heroes are being resurrected. I watched all the other series and am glad this is back. 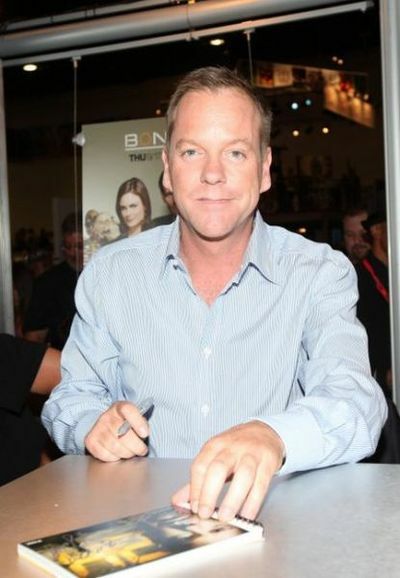 I hope they make other shows but what would be fantastic if a Movie was made with Kiefer Sutherland he is the only one suited for the part. Never watched it previously, so won't be starting now. Secret & Lies - love it or hate it? Do you think these Underbelly shows have had their day? Do your kids love Charlie and Lola? Will you watch the new Spicks and Specks? What's the best free Sydney Festival activity?